On a Petition filed by journalist and anti-corruption activist Vineet Narain who challenged the appointment of woman IPS officer Archana Ramasundram as additional director of the CBI, saying it ignored the recommendation of the selection committee, a Supreme Court bench of Chief Justice RM Lodha, Justice Madan B. Lokur and Justice Kurian Joseph issued notice to the Centre and others. According to Narain the appointment of Ramasundram, an Indian Police Service officer, was arbitrary as it was in disrespect to the laid down procedure under the Central Vigilance Commission Act and Delhi Special Police Establishment Act. He said the revised Lokpal Act reiterated the selection process. Counsel KK Venugopl who appeared for Narain said Ramasundram was appointed to the CBI additional director's post, overlooking the selection committee's recommendation of R.K. Pachnanda. According to the plea, rather than giving a panel of names as expected of it, the selection committee gave just one name, and there was no rule that it could recommend a single name. 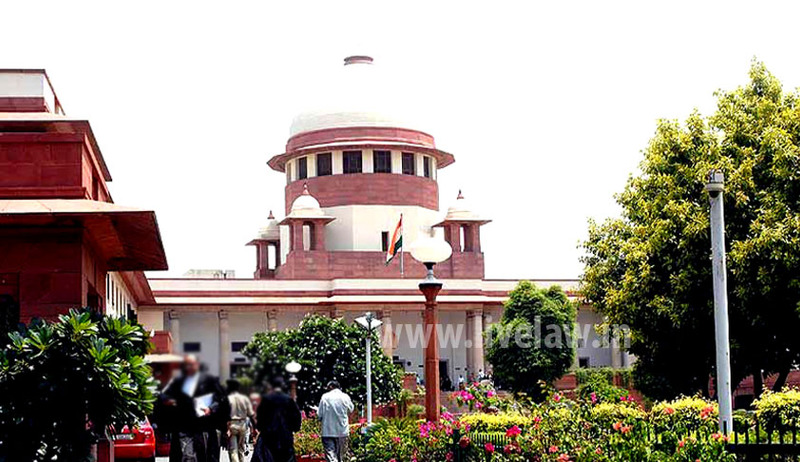 On an earlier occasion, Livelaw reported that while hearing another PIL, challenging the constitutional validity of Section 6A of the Delhi Special Police Establishment Act, which protects officers in the rank of Joint Secretary and above from any CBI inquiry in cases of corruption, a five-judge Constitution Bench of Supreme Court comprising Justices R M Lodha, A K Patnaik, S J Mukhopadhaya, Dipak Misra and F M I Kalifulla questioned Additional Solicitor General L Nageshwar Rao, who was trying to defend the protection given to a small band of bureaucrats of joint secretary and above rank. It observed that the very object of the Prevention of Corruption Act was being hampered due to the legality of the law authorizing investigating agencies to seek the Centre’s approval before commencing inquiry against top bureaucrats. It asked the Centre the reason for providing protection to the top bureaucracy by having it on the statute. Livelaw reported that during the hearing, the court cited Vineet Narain’s judgment, in which the Apex Court struck down an identical provision, earlier known as ‘single directive’. But the government had brought back the protection clause into the statute book through legislative route without deleting the basis for striking down of the clause. The bench said by giving “blanket” protection to a small band of bureaucrats, the clause was conflicting to the object of the Prevention of Corruption Act. In the wake of massive hawala scams, the former Chief Justice of India J S Verma authored the judgment in the 1997 Vineet Narain case wherein guidelines to ensure independence and autonomy of the CBI were laid down. The verdict called for transparency in the selection of the CBI Director and put the Central Vigilance Commission in superintendence over the CBI. As per reports Vineet Narain, a journalist and prominent social activist, filed a PIL in the Supreme Court complaining of apathy by the CBI in the matter that later came to be known as the Jain Hawala case. On 18 December 1997, a historic judgment was delivered in which the Supreme Court laid down around two dozen guidelines to ensure autonomy and independence of the CBI, fair and just investigations and transparency in the selection of the CBI director. It was this judgment that put the Central Vigilance Commission in superintendence over the CBI. In Vineet Narain Vs Union of India (1998) 1 SCC 226, the primary question was whether it was within the domain of judicial review and it could be an efficient instrument for initiating the investigative process which was under the control of executive. The focus was on the question, whether any judicial remedy was available in such a situation. The essence of the allegations in the writ petitions was that government agencies like the CBI and the Revenue authorities had failed to perform their duties and legal obligations in as much as they had failed to probe matters arising out of the seizure of the "Jain Diaries". It alleged that the fear of terrorists had led to the discovery of financial support to them by secret and illegal means using corrupted funds obtained through "havala" transactions. Further, allegation was that this had also revealed a nexus between politicians, bureaucrats and criminals, who were beneficiaries of money from illegal sources, given for unlawful considerations that the CBI and other government agencies had failed to investigate the matter take it to its logical conclusion and prosecute all persons who were found to have committed an offence. Narain approached the Apex Court of India after exposing the Terrorists and politicians Hawala network, as early as in 1993, demanding honest probe in this case. The now known Jain Hawala Case got a brief encouragement up as a result of a PIL filed in the Supreme Court in 1993 by Narain. In 1996 for the first time in Indian history, besides bureaucrats, several Cabinet Ministers, Chief Ministers, Governors and Leaders of Opposition were charge sheeted for corruption. The Supreme Court passed numerous landmark decisions were in the Vineet Narain Vs Union of India.